There are rainbows . 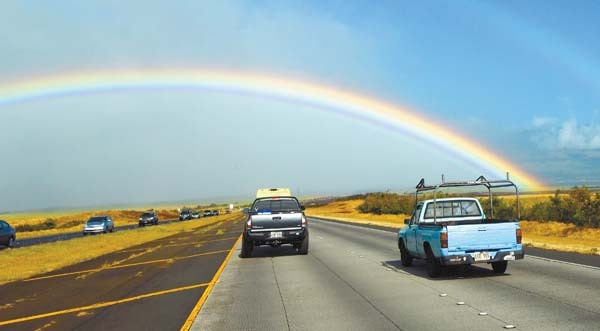 . .
A bright rainbow shines over traffic on Haleakala Highway near the Haliimaile Road intersection Friday morning. The heavy band of rain that settled over Olinda and Makawao made for a wet Makawao Rodeo Bull Bash on Friday night.